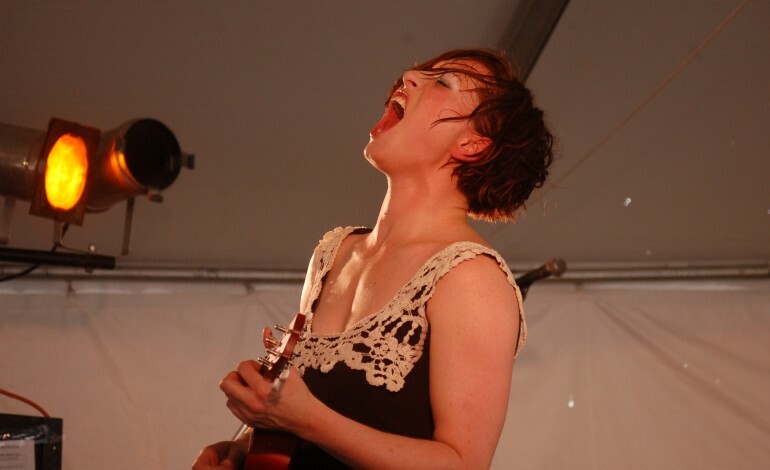 After a busy 2017 which saw her reunite the Dresden Dolls, release a bunch of new material via her Patreon page, and releasing a couple of new music videos, Amanda Palmer has announced her first tour dates of 2018, with Jason Webley to support. The first couple of shows for the tour will start this month, with a free concert at Wesleyan University taking place tonight (December 9th) that will also include a video screening and a brief Q&A. Following that, Palmer has a special New Year’s Eve show scheduled to take place at Brooklyn Bazaar. Palmer, who is one of the biggest acts on the Patreon platformers, has seemingly found the time to churn out project after project and tour after tour this year. Aside from the aforementioned new songs and music videos, she also recently released another collaboration with string arranger and frequent collaborator Jherek Bischoff in the form of a cover of the Pink Floyd song “Mother.” The Dresden Dolls recently wrapped up a short string of tour dates, which included a rousing rendition of the Rage Against the Machine classic “Killing in the Name” with an unorthodox arrangement that included strings and woodwinds.